Why, then, was he framed during prime time? The show trial of O.J. Simpson was perhaps the greatest of its kind in U.S history. And the country has seen plenty of these circus trials as the American public has always loved watching a ‘real’ reality show. What has never been discussed is why this particular double murder occupied so much space in on the front pages, as it received nonstop coverage by the networks. Truly, there was never anything like it before; nor has there been such a sensational display of legal showmanship since. O.J. would have never been able to assemble such a Dream Team of lawyers had he been guilty. We’re talking about the sharpest legal minds in the biz. Attorneys don’t like to be made fools of. Most experience criminal defense attorneys are VERY street smart. Their first impulse is to get in touch with the scuttlebut on the street. The word on the street was that OJ was completely innocent— wouldn’t do it, couldn’t do it, didn’t do it. None of these criminal defense lawyers are stupid. In fact, they are all quite well-known as being the smartest guys in the room — any room, anywhere! That’s why they took on OJ’s case; they knew he was stone-cold innocent. 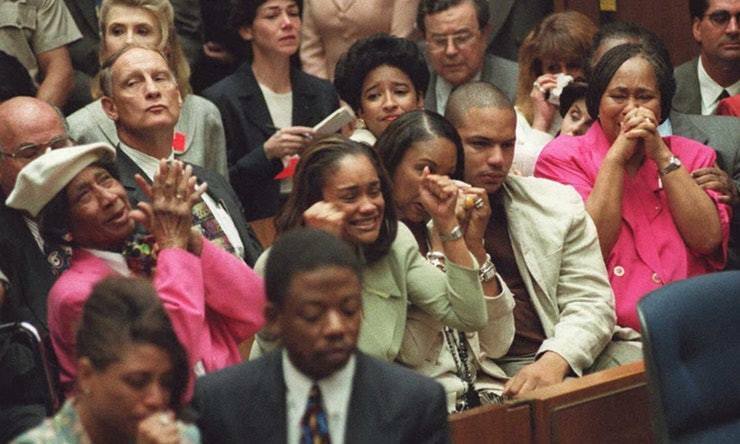 And, they knew he would win at trial as the evidence that each of them saw was simply overwhelming in favor of OJ. So, they obviously wanted to be on the winning side of the biggest trial in history—WORLD HISTORY! None of these world-famous attorneys would have risked their stellar reputations for a brutal murderer guilty of an extremely heinous crime. On the contrary, each of them wanted to be associated with defending OJ against the most naked miscarriage of justice ever seen on the screen. An OJ vindication — in their minds — would help restore faith in the completely broken criminal justice system. It would also contribute immeasurably to their resumés. As it did indeed! Anyone — from whom common sense had not yet fled — who seriously watched this show trial was overwhelmed by the strength of the case indicating OJ’s innocence. The prosecution resorted to using only smoke and mirrors over and over again. In fact the LA prosecutors employed so much sleight of hand one would think they were watching an endless series of magic tricks. Remember this was Los Angeles, where every major show trial is staged as a CIA-coordinated Hollywood production. And so it was! 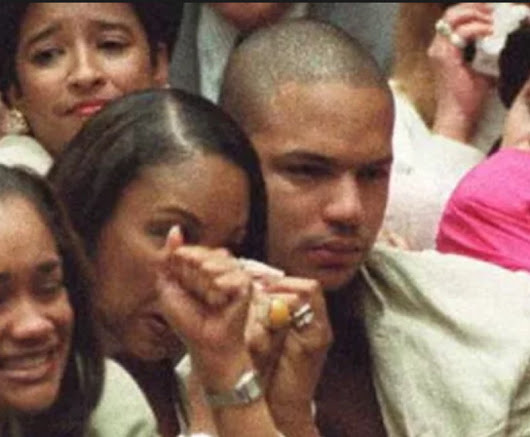 Not only did all the most substantial evidence reflect OJ’s obvious innocence, some of it pointed to the guilt of another individual who is close to “The Juice”. It’s for this very reason that OJ made the “paternal decision” to go to trial. Somehow he could not find it within himself to out a family member who appears to be the culprit. Because the DA immediately pounced on him, he must have calculated an opportunity to beat ’em at trial and, at the same time, save a family member from a life sentence without parole. OJ’s “quality time” in the white Ford Bronco with his close friend, AC Cowlings, while being chased all over LA was most likely spent teasing out the various alternatives before he was jailed without bail. Surely he knew that he would not be able to have any private consultation again since incarceration practically strips that right. No one ever says that, but everyone in the system knows it. Back to the evidence: the team of prosecutors offered not a single shred of evidence proving OJ’s guilt, and what they did offer was plainly exculpatory. So why did they do it? Why did the DA even make the curious decision to move the trial from Santa Monica to Los Angeles? Why did Marcia Clark rely on witnesses who were blatantly untrustworthy characters and who provided highly questionable testimony? There are simply too many details concerning the integrity of the evidence that are well beyond the scope of this analysis. Nonetheless a close reading of the transcript and consideration of the hard evidence unequivocally validates that OJ was innocent of the criminal charges filed. Well there are still a couple of grisly murders that must be accounted for. For those who are want closure, the following articles ought to provide some degree of understanding. The article below lays out a strong case for who actually performed the murder, and it wasn’t OJ. Well-timed photographs often reveal information that cannot be obtained in any other way. 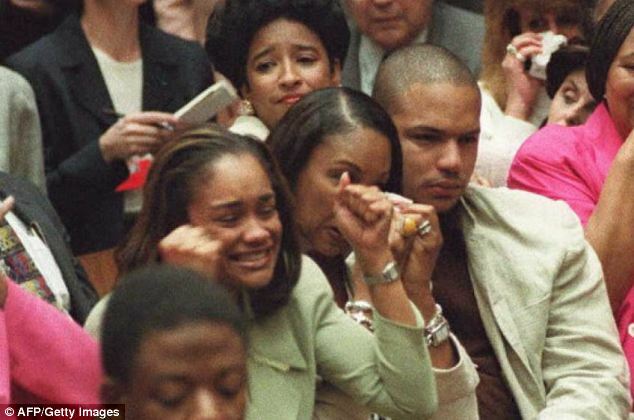 Such is the case with the following 3 photos of OJ’s son, Jason Simpson at the reading of the verdict. There can be only one reason why Jason Simpson was so pensive in thought after hearing that his father was acquitted of the double murder. Regardless of what really happened, there’s no question that OJ was transparently set up for the fake robbery that was staged in Las Vegas by his enemies. He didn’t even know that anyone had any guns, and only wanted his own property rightfully returned to him. Needless to say, he’s now happy to be a free man again. 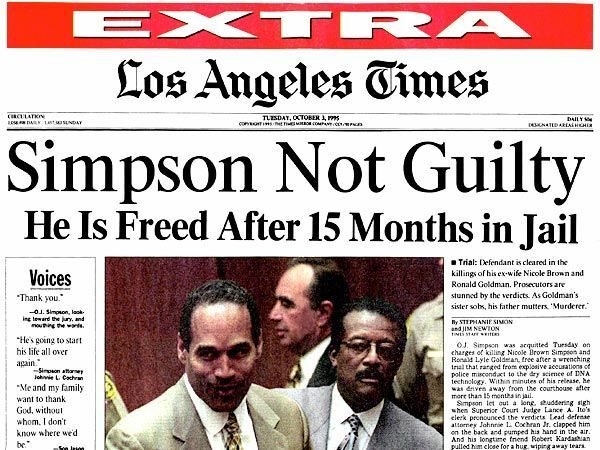 OJ Simpson served as a great inspiration to the black community for many years. It appears that someone was determined to ruin his reputation just as they have with many other black heroes in U.S. history. Hopefully OJ will be fully exonerated in the future; for his sake and for his Afro-American kinfolk across the nation.